Is using an imaginary exotic bird to help you close more sales as ridiculous as it sounds? Maybe. Maybe not. Read on to find out. There’s nothing wrong with features. They often represent real competitive advantages. The problem comes in when salespeople leave it up to the customer to figure out how these features can help them. The consultative approach to selling, which is generally accepted to be the most effective selling methodology, says that customers only make purchases in order to solve a problem. In the middle of a sales call, it can be hard to remember to follow up a mention of a feature with the accompanying benefit(s) and that’s why I recommend that you use Pete to help. Let me tell you about him. (This story might not be 100% true but it’ll help you remember about Pete!) Pete is a parrot who I bought years ago at a pet shop for only $100, a deal compared to other parrots. When I asked the pet shop owner why Pete was so cheap, he explained that he can’t say anything anyone wants. Curious, I asked him what he does say. He explained that he used to belong to a salesperson who used to spout off about nothing but features when in front of a customer and that because Pete couldn’t stand it any longer, he finally started squawking, “So What?” after the salesperson’s feature pushes. This forced the salesperson to keep explaining until it was clear to the customer how the feature could help him solve a problem, challenge or issue. “PERFECT. I’LL TAKE HIM!” I said. While you can’t borrow the real (cough . . . eh um) Pete for your sales calls, you can borrow the imaginary Pete anytime you’d like. In fact, I would recommend that he quietly sits on your shoulder on your next sales call. It’s like having a sales trainer with you without the cost. 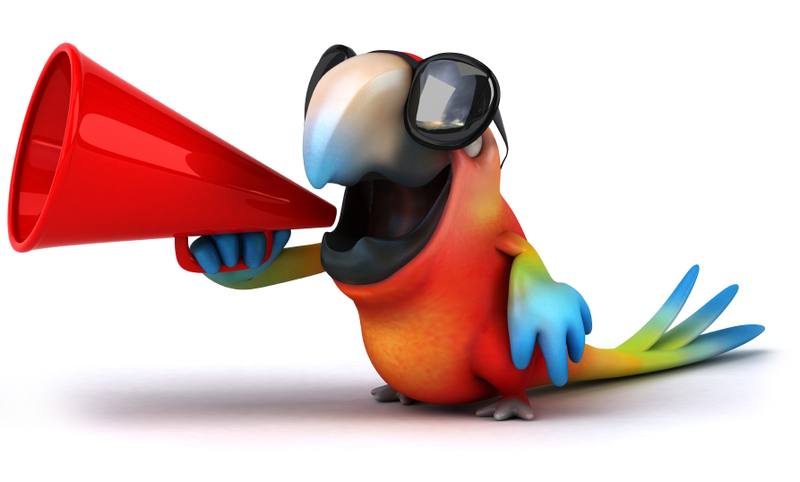 Any time a feature comes out of your mouth without a related benefit, Pete will squawk out “So What?” reminding you to keep going into the specific benefits to the customer. One piece of advice. Don’t talk back to Pete in the middle of a sales call. It’ll kill your closing ratio!